Did you know that Albertans eat more donairs than anywhere else in Canada? I know, right?! Edmonton, the donair capital of Western Canada, even considered making donair its official food, but it looks like they’ve conceded that it belongs to Halifax. The migration of the donair to Alberta is a mysterious phenomenon but there is a generally assumed connection to Maritime migrants who moved out west for work. The Walrus actually has a pretty cool article detailing the history of the donair in Edmonton, which has been traced back to the early 80’s. Calgary does not have the donair culture that Edmonton has and seems to be less attuned to the Maritime (or even the Greek) heritage of the donair, which is often presented as a Middle Eastern or Turkish food. In fact, the word “donair” is often thought to be synonymous with “doner kebab”, leading to declarations of “authenticity” based on “donairs I ate in Turkey”. 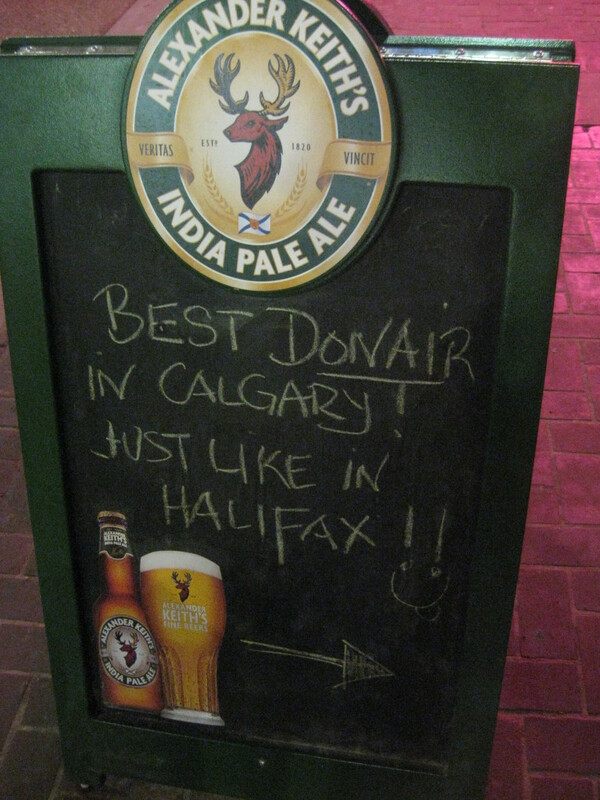 Calgarians view the donair so differently from Maritimers that it is hard to judge these donairs by Maritime standards. But what other standard is there? 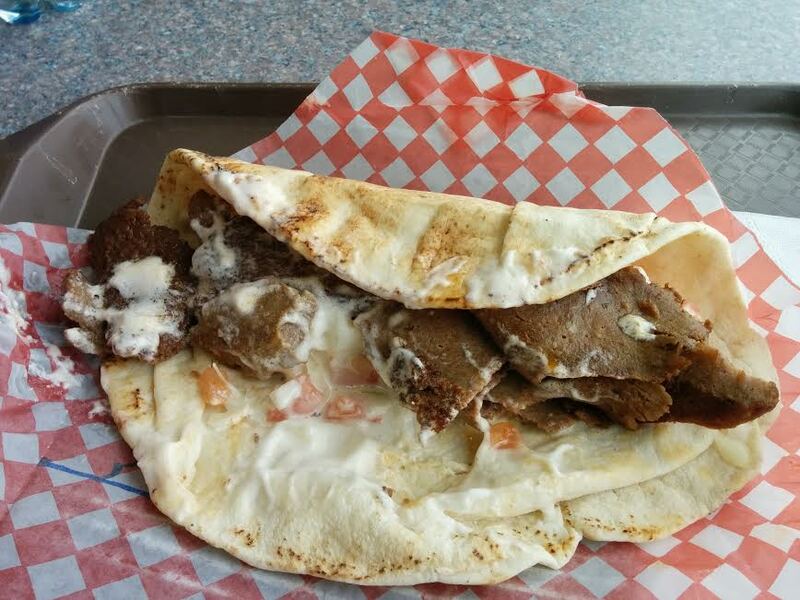 The donair is a Canadian food, invented in Halifax, derived from the Greek-American gyro. Donairs in Calgary are generally sold at shawarma shops (or donair specialty shops) rather than pizza shops like on the east coast, and it’s as if the purveyors were given the recipe without the story of its origin. 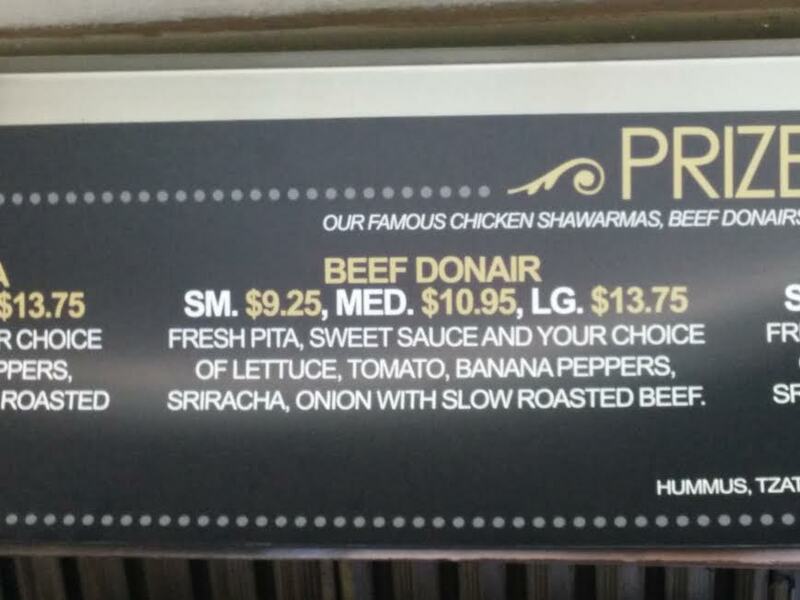 They probably figured that the spelling “donair” was just a Canadianization of “doner” (which it is) and that donair can be any Mediterranean wrap-like thing, with the spiced meat and sweet sauce being regional curiosities rather than essential components. Depending on the place and customer specifications, it can be difficult to tell the difference between a shawarma and a donair at times. I tried 4 donairs on my visit to Calgary, by recommendation of @PrimeBane – an Edmontonian and donair connoisseur living in Calgary. Uncle Moe’s has been slinging donairs since 1983. All donair cones are made in-house and are available in chicken, lamb, beef and bison. I couldn’t pass up the opportunity to try a bison donair, as this option is so uniquely Albertan! I sampled both the beef and bison meat before ordering. The beef had a great texture and beefy flavour, but was not heavily spiced. The bison had a softer texture and a rich gamey flavour. I couldn’t decide so I got half & half. The next thing I noticed was the donair sauce (which Albertans call “sweet sauce”). Why was it so thick and white?? 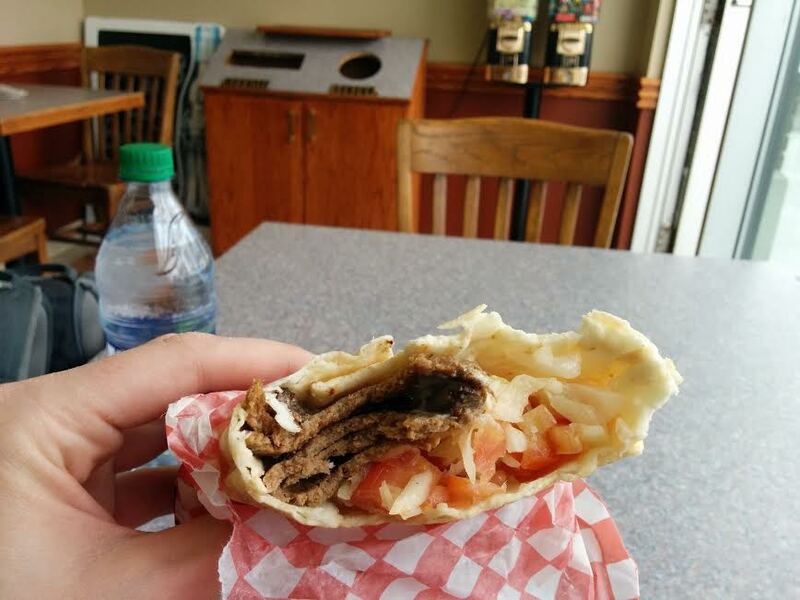 @PrimeBane informed me that it is common for Calgary donair shops to whip their sauce, making it thicker and whiter. But I also found the flavour to be somehow lacking. Less sweet? Less garlicky? I couldn’t put my finger on it. The pita was not grilled prior to donair assembly. My first bite consisted of cold, dry pita bread. My next observation was the sheer lack of meat. A regular beef donair at Uncle Moe’s is $5.25 but I would recommend adding extra meat for $3.75, bringing your bill up to $9 for a regular donair! The works consists of lettuce, tomatoes and onions but you can add cheese, hot peppers or pickles for $0.50 each. I omitted the lettuce and got this dressed Halifax-style. While I admired the quality of the meats, this donair was lacking many of the flavours and characteristics that I associate with donairs in Nova Scotia. The bison donair is still a pretty cool experience for any “donair tourist”. So I decided to get the works this time, in true Calgary fashion. In addition to the regular lettuce, tomatoes and onions my donair ended up with banana peppers and pickled cabbage. 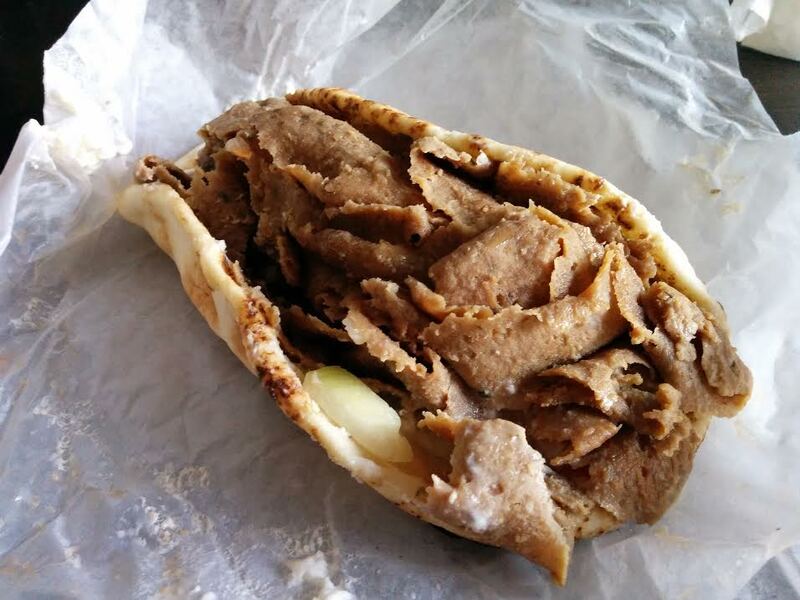 The pita bread was separated, stuffed and wrapped – which already disqualifies it as a true donair. A donair-stuffed pita, sure. But not a donair. This was, again, a small portion of meat. As for the flavours, they were nice. The meat was taken out of a warming drawer, but had a nice texture and a lingering (if not bold) spice. The crunchy lettuce and pickled ingredients were refreshing, but they overpowered the sauce and meat. I definitely don’t think they add anything to the “donair experience”. What I was eating was not exactly a shawarma and not exactly a donair, and I think I’d prefer just eating one or the other. I had never been to the original NW location of Jimmy’s, but it’s awesome! Such a cool little spot with friendly staff, a wicked olive/tapas bar and delicious shawarmas! I had always heard good things about the donairs here, but I never had a chance to try one. I was taken aback by the price, but I was by now accustomed to the ingredients. This time I omitted the wacky ingredients and got it prepared Halifax-style. I was impressed with the amount of meat! Finally – something that resembled a regular sized donair on the east coast (even if this is reflected in the price). This donair was so promising! My first bite revealed that the meat was spiced just right. The meat had tiny little bits of bone or cartilage in it that I couldn’t overlook. I actually didn’t finish this donair because the textures in the meat turned me off. Disappointing, because this place was otherwise very charming and they make great shawarma. Please, somebody tell me this was a one-off batch! Below Deck is a Maritime-themed pub in downtown Calgary. I’ve always enjoyed the donair here and it’s @PrimeBane‘s #1 pick so we chose to meet up over this donair and discuss my research. 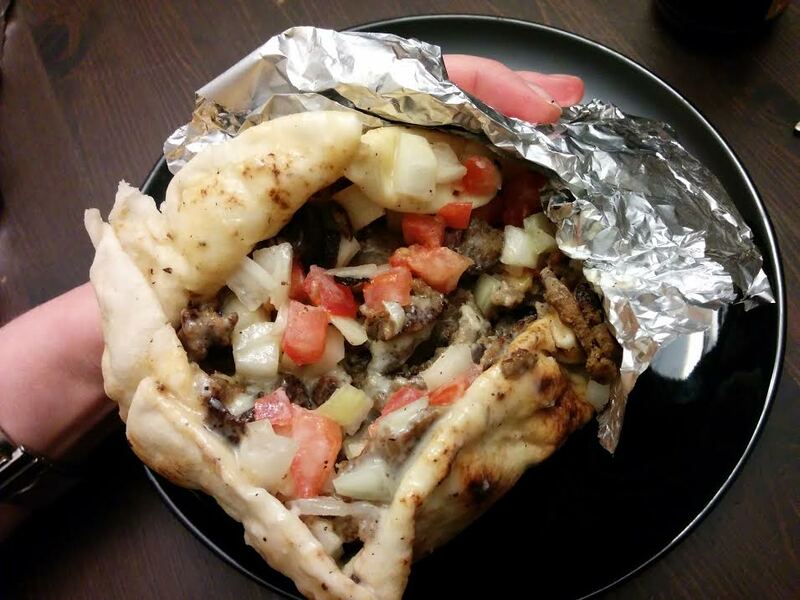 This is what I like to call a “pub-style donair” – something that doesn’t really exist in Halifax. Instead of the traditional Lebanese pita, it is wrapped in a thick Greek pita which makes it nice and sturdy. The donair meat is house-made, spicy and delicious. It comes with lettuce, onions and tomatoes. I omitted the lettuce while @PrimeBane, being the Albertan, did not. We also added cheese and Brother’s pepperoni – just for fun. This donair was even better than I remembered it being! The pita bread was stellar; what it lacks in authenticity it makes up for with awesomeness! The donair sauce was right on point! It was the first time I tasted proper donair sauce since being in Calgary. It’s one of those things where you’re not really sure until you have the real thing and then – bam! Suddenly I was acutely aware of how lackluster all of the other sauces had been. I highly recommend this donair and this pub, which has a menu that is a fusion of Halifax and Calgary pub fare. 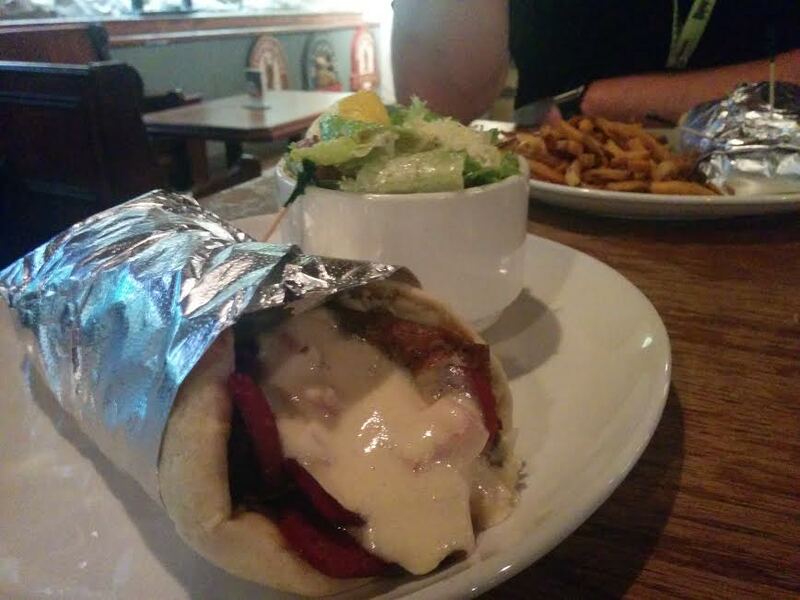 Mondays are “Maritime Monday” and the Halifax Donair is only $10 (w/ a side). My perfect Calgary donair would have Uncle Moe’s meat with Jimmy’s spice blend and Below Deck’s sauce. Or – I could just as happily continue eating at Below Deck Tavern and stick to shawarmas elsewhere. Sauce is called “sweet sauce” and is very thick and white. Does not taste quite the same as donair sauce on the east coast. Not as messy. Pitas are not grilled prior to assembly, and in some cases are actually stuffed. Meat is sometimes not spicy/seasoned enough. There is not enough meat/too expensive. Lettuce is a basic ingredient, and other toppings like pickles and hot sauce are common. On a recent visit to Calgary, I discovered a new shop that had just opened up. This place is modeled after a Nova Scotia pizza shop, selling pizza, garlic fingers, donairs, nachos, poutine, wings, subs and seafood. They also do potato skins, chowder, fish cakes and rappie pie – pretty much anything a homesick Maritimer could desire. The owners are from Berwick, NS and super nice guys. They hooked me up with some donair egg rolls and a regular donair. 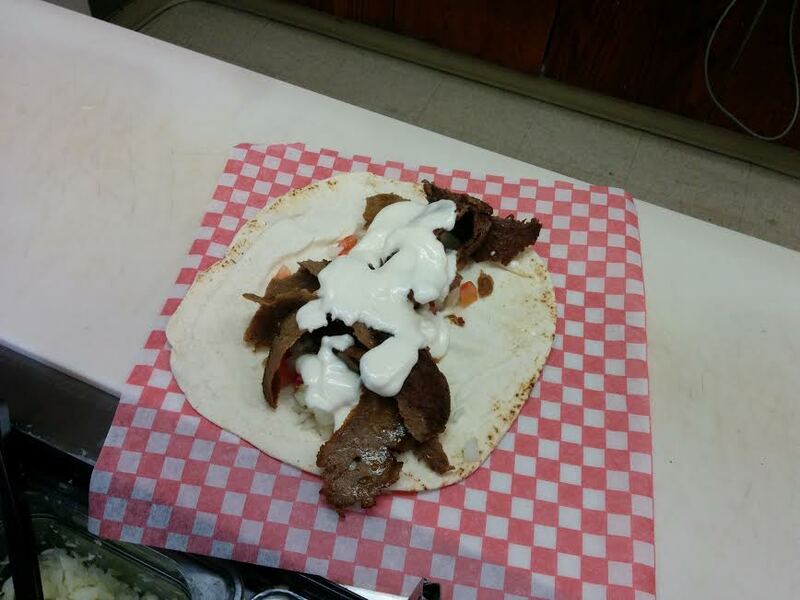 The donair meat is house-made, so it is a little soft and crumbly. It’s spicy hot and complimented by the thick, sweet donair sauce. Of all the donairs I’ve tried in Calgary, this one most resembles a Halifax donair. I visited on the second day these guys opened, so I think maybe they have a few kinks to work out but there is a lot of potential here. The donair egg rolls were the best I’ve had! Blowers & Grafton opened in 2016. This is a trendy restaurant stylized after Halifax’s famous “Pizzza Corner”. They serve “Halifax street food” like donairs, pizzas, garlic fingers, fish ‘n chips, and deep fried pepperoni. They’ve got the history and the recipes down. They know what’s up. This donair is the realest deal in Calgary. This is the Halifax-style. 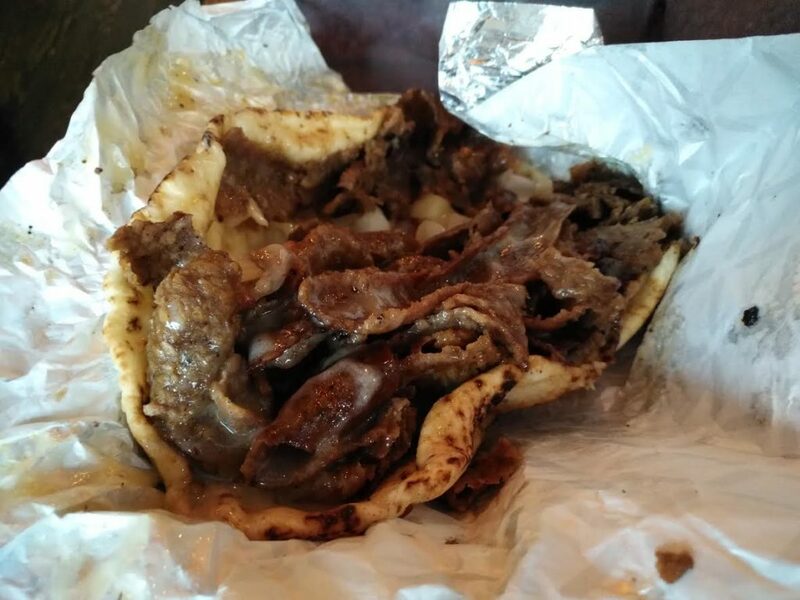 An abundance of meat is served in a properly grilled Lebanese pita, drenched in proper donair sauce. Veggies are minimal. You can wash it down with some East Coast beers (or a Tidal Bay from Benjamin Bridge Winery) and leave with a happy belly. A small (pictured) is $10 and a large is $13. 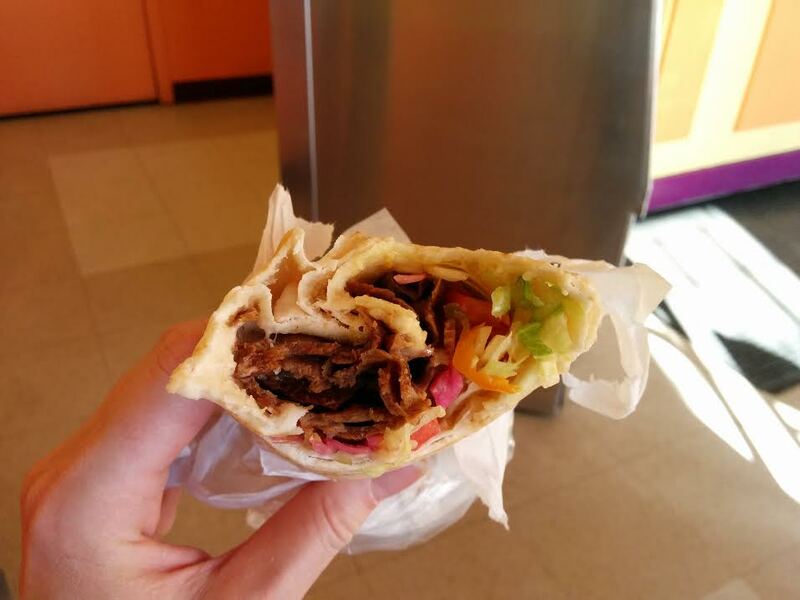 Where is your favourite donair in Calgary? Disagree with anything I’ve said? Let me know in the comments below! Yes, I sent somebody else there after I left to sample it for me and they also reported a lack of gristle. I’ll have to go back next time I visit! Oh yes! I used to live down the street from there and ordered from there regularly. I’m not sure why I didn’t include their donair in this quest. I don’t remember being particularly enamoured by it. But Big John’s is definitely a godsend for homesick Maritimers in that neighborhood. Jomaas pizza in Fort McMurray, Alberta has the best donairs on earth! Good donair in Medicine Hat? Who woulda thunk it?! Thanks for commenting! There are so many spots to try, a must try spot is Little Lebanon . They are some of the best and I feel like I have tried them all, they also make a pocket style (Calzone) that they bake in the oven that is unreal!! We too thought there was a lack of real east coast style donairs in Calgary, so this July (2017) we started our food truck called MIGHTY HALIFAX STYLE DONAIR. We are usually downtown Calgary at the Bow Towers, Devon Centre, Shell Centre or Central Memorial Park 3 to 4 times a week and a various festivals on the weekend. Favourite us on Street Food Calgary app to see our location daily. 🙂 Our menu includes authentic donairs – spicy beef, sweet creamy garlic sauce, tomatoes & onions on a pita (no lettuce!,no pickles!, no hot sauce! just sweet meaty goodness). Optional cheese for those who aren’t absolute purists. We also have Donair Egg Rolls with sweet dipping sauce and deep fried Chris Brother’s Pepperoni, with honey mustard sauce, all the way from the East Coast. So far the response has been amazing! Thank you Calgary! So if you make it to Calgary again, look us up. A new restaurant Blowers & Grafton has completely left all of these donair shops in the dust, when it comes to an authentic Halifax Donair.. perfect spicy meat cooked on a gyro machine (required and the only way you’ll ever see it back home). Thick sweet Donair Sauce.. fresh pita steamed on the flat top with the meat.. it’s not complicated but these guys are doing it right. There other food is awesome too.. I chatted with the owner and could tell he cares about quality more than anything. Indeed! I was there on my last visit to Calgary and quite impressed with the food – especially the Pictou County Pizza! The donair is legit. I should have updated this post by now. Thanks for reminding me! You need to try the chick pea. The closest I’ve found to the east coast donair. Again they have all those extra toppings but i just get it Halifax style. They’ve been around forever, and while I don’t like sweet sauce (unlike maritimers, not many albertans like sweet sauce on their meat) theirs tastes like the stuff in Halifax. I missed a lot of donair shops in Calgary! I’ll check this one out next time I’m visiting.